Health Imperatives provides health and human services early 30,000 families and individuals across Southeastern Massachusetts, improving the health and well-being of some of the most vulnerable populations. ​upports for LGBTQ youth, and much more. To learn more visit www.healthimperatives.org. Komen Massachusetts is dedicated to protecting the most vulnerable people in the state of Massachusetts from the impacts of breast cancer. And, over the past five years, Komen MA has funded over $4.5 million to community-based partners for screening, education awareness, and treatment grants in the Commonwealth and continues to support some of the state's most vulnerable populations. Komen Mass is committed to 100% screening, 100% access to care, and 100% follow-up. To learn more visit www.komenmass.org. For the past 37 years, Old Colony Hospice's team of registered nurses, social workers, counselors, hospice aides, nutritional consultants and volunteers has been providing caring, compassionate hospice care to patients and their loved ones. Old Colony Hospice proudly serves 45 cities and towns in Southeastern Massachusetts. For more information about Old Colony Hospice and their good work, visit www.oldcolonyhospice.org. The Eillie Fund fights breast cancer by easing its effects on patients and families. The Ellie Fund does this by providing critical support services including transportation to medical appointments, childcare, housekeeping, groceries, and nutritious prepared/delivered meals free of charge to hundreds of women and family members across Massachusetts each year. ​To learn more about the Ellie Fund, visit www.elliefund.org. With the support of the Komen Chicago signature fundraiser, the Komen Chicago Race for the Cure®, and many additional events and activities over $12 million has been awarded to nonprofit organizations throughout the Chicagoland Area funding lifesaving breast health navigation, breast cancer screening, diagnostics, treatment and treatment support services for uninsured and underinsured women and men in need. To learn more, visit www.komenchicago.org. The Scituate CORSE Foundation (Community of Resources for Special Education) was established by a group of dedicated parents and educators to provide the highest quality educational, social and recreational community experiences so children with special needs can reach their full potential. C.O.R.S.E. Foundation is an award-winning, volunteer-driven organization providing exceptional support and services for families of children with special needs. 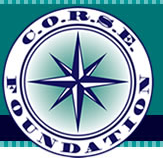 To learn more about CORSE, visit www.corsefoundation.org. 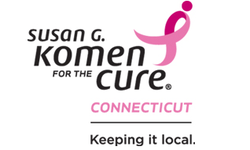 Komen Connecticut's primary focus is on our local community – on educating the women and men in our state on the importance of early detection, funding free screening services and providing support to those who are diagnosed with breast cancer. ​Learn more about their life-saving work and visit www.komenct.org. The Boston Club is one of the largest communities of women executives and professional leaders in the Northeast. Unique to The Boston Club is that it is both a CLUB and a CAUSE. As a cause, the Club impels the advancement of women to top leadership positions and advocates for and places women on corporate and nonprofit boards. The Boston Club's core belief is that more women in significant and visible leadership roles will mean better performance and strengthen the economic health in our communities. ​To view the unmatched offerings of The Boston Club, visit www.thebostonclub.com. ​The Alden Kindred of America, Inc.’s mission is to honor the Alden Family and the Pilgrim spirit and tradition through preservation of the Alden Historic Site and Museum; and to make public its history and lineage, and the significance thereof, through exhibition, publication, programs, and education. Murphy & Company was retained by The Alden Kindred of America to assess current operations and provide recommendations to improve operational effectiveness, fundraising strategies, the annual revenue growth through the delivery of a 3-5 year strategic operating and development plan. Additionally, Murphy & Company assisted in the hire of a part-time Fund Development & Membership Manager and provided ongoing coaching and mentorship. The Lown Cardiovascular Group is nonprofit organization that provides patient-centered, noninvasive cardiovascular care with an emphasis on prevention, compassion, and trust between doctor and patient. Located in Chestnut Hill, MA the Lown Cardiologists are affiliated with Brigham and Women's Hospital and Harvard Medical School. Murphy & Company works with the Lown Group to create successful holiday giving campaigns to fund important research and programs in cardiovascular health and prevention. Murphy & Company planned and executed a successful donor appreciation and naming event to celebrate the newly announced Bob & Judy Hale Heart Center.